2 Comments Published by Cedric Benetti on Wednesday, July 15, 2009 at 7/15/2009 06:34:00 PM. We all knew it, but it just had to be explained visually once again: don't put babies in your rice cooker. The lid will not close and it will turn the kitchen surroundings into a real mess. What the heck? Don't bathe the baby in the cooker? 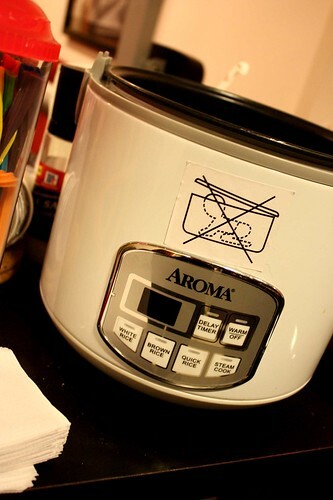 Or don't leave them unattended around rice cooker?